"Cubano Be! Cubano Bop!" 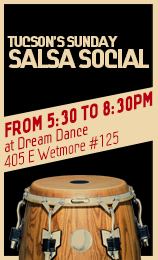 is a tribute to the legacy of the original Conga King, Chano Pozo, and his co-conspirator in Latin Jazz, Dizzy Gillespie. In the 1940s Chano Pozo was at the top of his game. His rhythms descended from the ceremonies of his Afro-Cuban religion, Santeria. Together with Dizzie Gillespie, their 1947 Carnegie Hall concert literally changed the face of musical history and the course of American Jazz. 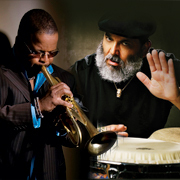 Chano and Dizzy created Afro-Cuban Jazz, writing the standards, "Manteca" and "Tin Tin Deo," which burst the genre onto the musical map in a major way. Celebrate the high-voltage, Afro-Caribbean sounds that made Tito Puente “El Rey,” – the undisputed King of Latin music. Hot horn arrangements soar over irresistible, hard-driving, Latin polyrhythms as Tito Puente, Jr. celebrates his father’s legacy of mambo, merengue, salsa and cha-cha-cha classics and introduces a few new favorites with a contemporary flair. Tito Puente influenced generations of musicians with the conga- and timbale-driven tempos and spicy charm of his arrangements. His animated performance style lives on in his son's infectious showmanship, as he and his orchestra transport the audience to a festive evening in the tropics.